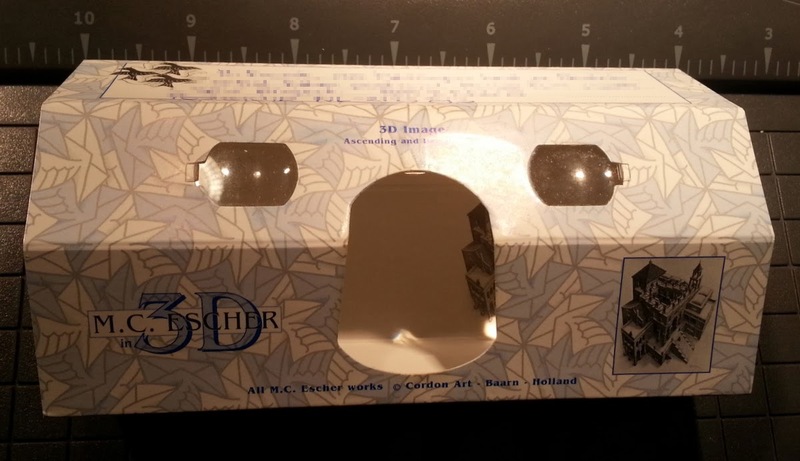 I received a stereoscope card NL-2125293 from the Netherlands today. 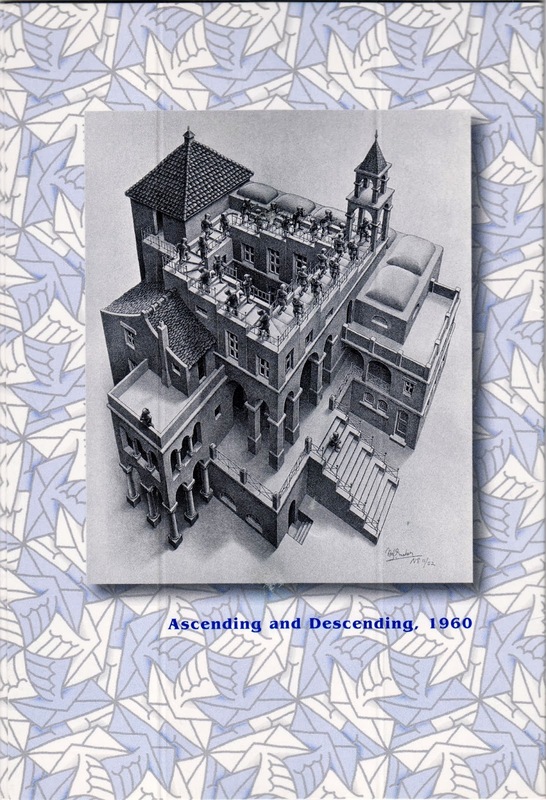 It shows Ascending and Descending, a lithograph print by the Dutch artist Maurits Cornelis Escher that was first printed in March 1960. Originally measured 14" × 11¼”, the lithograph illustrates a large building with a never-ending staircase on the top. While most two-dimensional artists use relative proportions to create an illusion of depth, Escher uses conflicting proportions to create a visual paradox, showing one line of people ascending while the other descending all one the same staircase. In addition to the print in front of the card, the card has a pair of stereoscopic lenses that, when unfolded, allows parallel-viewing two offset images separately to the left and right eye of the viewer; these two-dimensional images are then combined in the viewer's brain to form the perception of 3D depth of the building.